"Fifteen seconds. That’s all it takes to completely change everything about a person. 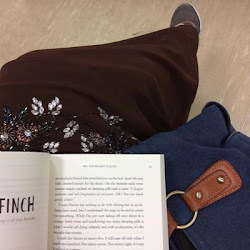 Fifteen seconds that we’ll never get back." I HAVE NEVER BEEN SO WRONG. AND THIS BOOK WAS RESPONSIBLE TO SHOW IT TO ME. I’m so ashamed at myself. 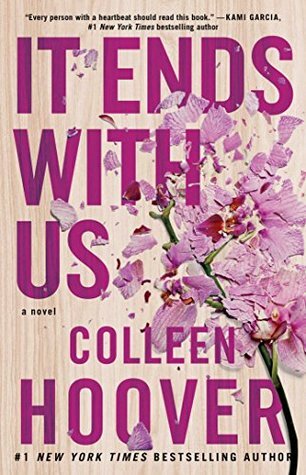 It Ends With Us is by far the best Colleen Hoover yet. Forget November 9, forget Confess, forget everything. This is IT. It Ends With Us is raw, bold, real, honest and its everything I never knew I needed. I promised myself that I won't give this a 5 stars because I have issues and dissatisfaction with it, but the last 3 or so chapters and the author’s note breaks me. YOU NEED TO UNDERSTAND, I HAVE NEVER BOTHERED TO READ AUTHOR’S NOTE. BUT THIS ONE. THIS ONE MAKES ME SOBBED. It would be an insult not to give this book a 5 star and so I did. Here you go Colleen, a 5 stars handed to you in a gold platter. You did great with this one. I just can’t stress enough how important this book is. How everyone should read this because it carries a message so important that it needs to be delivered throughout the entire world. It Ends With Us helps you understand that you can never put a black and white on emotions. It is so easy to judge people when you weren’t wearing their shoes. About half of this book, I feel like I hate Colleen Hoover for turning everything over. I hate her for drafting her book this way. I was so mad and so frustrated. But when I reached the end, sobbing and crying and was practically in a complete mess, I understand her. I understand her for writing this book that way, in her own will and direction. I understand why she feels that it’s important for her to create such characters so she can successfully lead us to where she wants us to go, what she wants us to feel and understand what she’s trying to deliver. I can never thank Colleen enough for this beautiful book. I don’t know how to review this book without giving anything away. Just know that this isn’t like CoHo’s typical book. If you think you’re so over CoHo or that you couldn’t understand what the hype is all about, PLEASE GIVE THIS A CHANCE. You can ignore the rest of CoHo’s books but not this one. I love Lily. I love how strong she is, how strict she is with her decisions, in which I wonder: “Can I even be half as strong as she is?” and by God, I LOVE ALLYSA. CoHo brings out the empowerment of female friendships in this book and I appreciate it so freaking much. I’m tired from all the tears I let out while reading this. I’m hungry. I’m emotionally drained. My review doesn’t even make sense. I just want to rest. Good day. Shoutout to Naj and Mimie for being there throughout my emotional mess.